Life with children is not always fun and games, especially if the kids are little and curious. Child-proofing the house starts in the nursery and ends in the garden – but before you finish tying up all loose (and potentially kid-hazardous) ends at home, don’t forget to modify the bathroom for whole-family use in mind. Here are a few tips on how to transform the shower room into a spot safe for both adults and kids. Use open shelving to make it easier for children to reach bathroom essentials, and organize the toiletries so that everything your kids need is in plain sight. That way, you’ll minimize the odds of coming home to messy bathroom storage units – or a toddler piled under crumpled towels, rolls of toilet paper, and toothbrushes. If your kids have a flair for arts, their masterpieces can easily wind up sprawled across the walls even in rooms dedicated to personal hygiene. To prevent your little Michelangelo from smearing loo walls, install wainscoting: on top of doodle-proofing bathroom walls, the extra protection coat will also keep the sensitive surface safe from dents, scratches, and mold growth. Plus, it will add character to your shower room. When in water, 9 out of 10 kids can splash around for hours, so leaving them unattended in the tub is never a good idea – unless your walls are covered in full tiles. Floor-to-ceiling tiles are a quick fix for wall mold in bathrooms with poor ventilation, and they are also easier to clean up after a water-wrestling session with your playful angel. 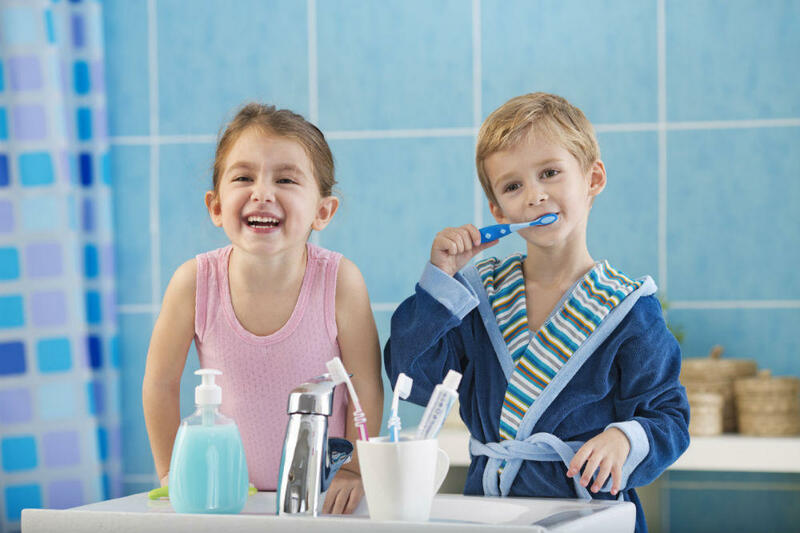 Children like to be treated as adults, but that still doesn’t mean you should place the soap tank and toothbrushes out of your little one’s reach. 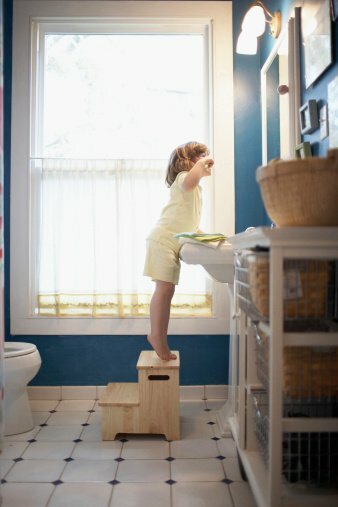 Add a low cabinet to your bathroom so that the kid(s) would always have toiletries close at hand. You should also consider installing a mirror low to make it easier for your little prince or princess to go about their daily hair combing and teeth brushing routines. Towel rails are cool, especially from a kid’s point of view: wall-mounted objects make great swings, but swinging on the towel rail often ends in tears. Replace towel rails by door-mounted hooks or keep the towels folded on the shelf. It’s always better to be safe than risk slip-and-falls, especially in areas with high humidity and lots of smooth surfaces. As for slippery bathroom floors, those can be a disaster scene in the making even for adults, let alone playful kids. For this reason, Ozzy Plumbing experts recommend dressing bathroom floors with non-slip covers, or installing slip-proof flooring such as tumbled marble, mosaic tiles, or linoleum. Sharp edges are a no-no with a toddler in the house, and this goes for the bathroom, too. Before you buy metal and/or porcelain elements or fittings with pointy edges, ask the shop assistant if the item is available in a softer material such as acrylic. 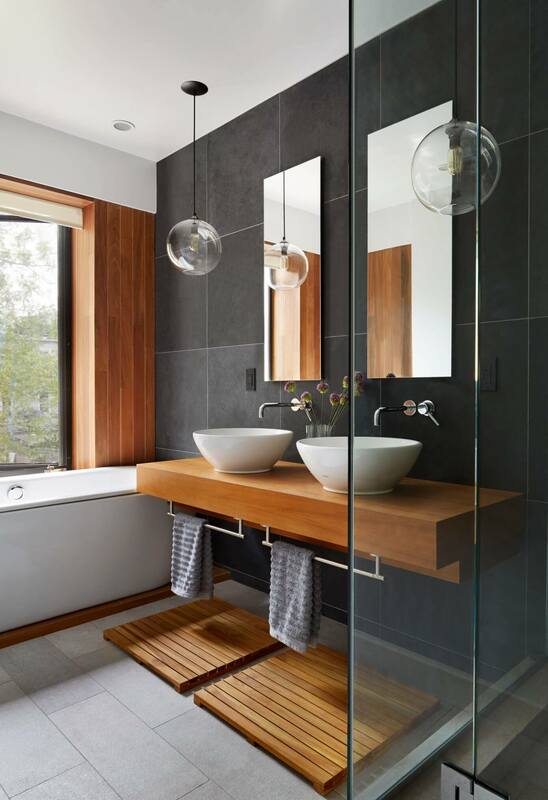 If possible, pick bathroom elements with round rather than sharp corners to keep your offspring scratch- and cut-free. Those little dirty hands won’t wash themselves, especially if the bathroom sink is tiny. Replace the standard sink for its bigger wall-mounted trough counterpart. If feasible, fix the sink lower to simplify hand washing routines for your little angel. With a child in the house, every trip to the loo is a test of parental love and patience. Follow the steps listed above to minimize the risk of slips, falls, cuts, and bruises, just to keep your junior on the safe side of the bathroom. Good luck with the renovation! Some of these ideas are great for people with disabilities and the elderly as well.